“At Last” is a song that will always remain buried in my memory as a song that not only makes me feel relaxed but also reminds me of my mother as I was growing up. You see, before I knew who the Stones or the Beatles were, I would hear this song play on my mother’s old Crosley record player during the holidays and always knew she was baking cookies. Miss Peaches or better known as Etta James has that effect on people. Back in 2000 Rolling Stone Magazine ranked her #62 in their list of 100 greatest artist of all time. With her bluesy voice with a touch of gospel elements as well as her influence on so many singer/songwriters, she should be rated much better than #62. She was loved by many and worshiped by others and her voice will live on forever. 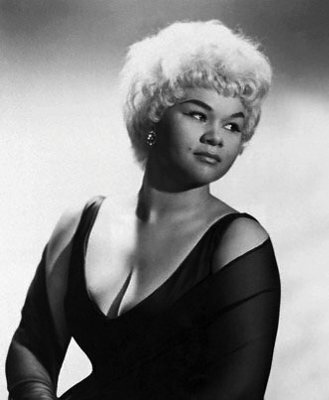 Ms. Etta James passed away on January 20, 2012 at the tender age of 73.